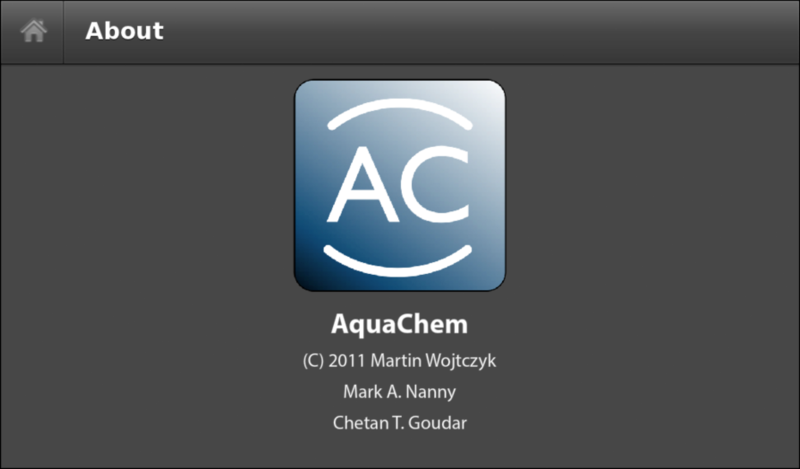 I am very excited to announce, that as of today, AquaChem is available in the BlackBerry App World. 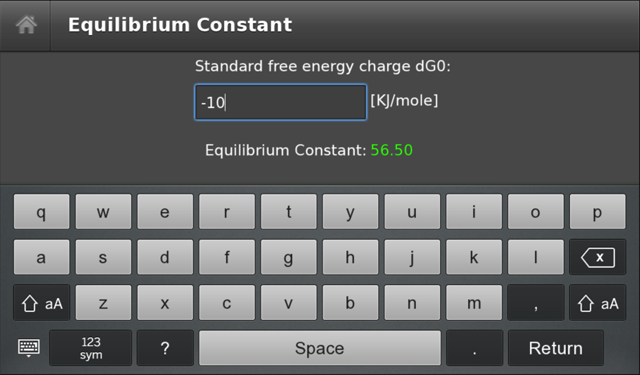 AquaChem is a handy tool to solve common Aquatic Chemistry equations for determination of Activity Coefficients, Ionization Fractions and Equilibrium Constants. 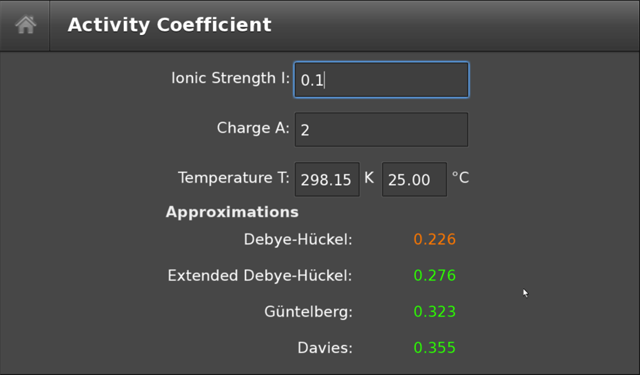 The application provides students with a simple means of performing laborious calculations, the underlying chemistry of the problem being studied can be the primary focus rather than the calculations. This entry was posted in Project and tagged BlackBerry, PlayBook on March 22, 2011 by martin. Research in Motion announced: everyone who submits an application for the BlackBerry PlayBook by March 15, would receive a free PlayBook tablet. Since I am very excited about the BlackBerry PlayBook, it’s Hardware, and it’s underlying QNX realtime operating system and I am waiting for it to appear on the market, a free Tablet is enough incentive to look into how to code for the PlayBook as an early adopter. 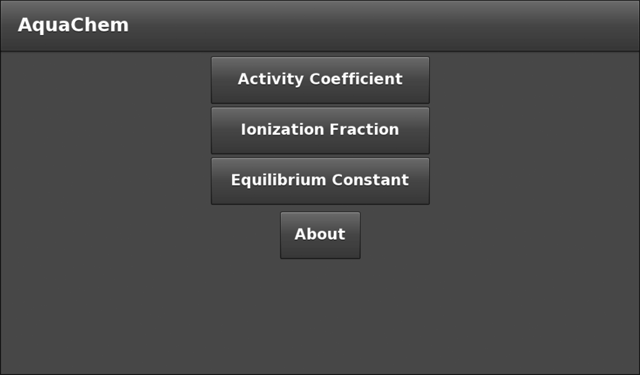 I implemented AquaChem – an Adobe Air application – from scratch, after spending a couple of hours going through a comprehensive tutorial with Source Code. AquaChem is based on the idea of iChem. The purpose of the application is to bring Aquatic Chemistry on modern Handheld devices to the classroom. 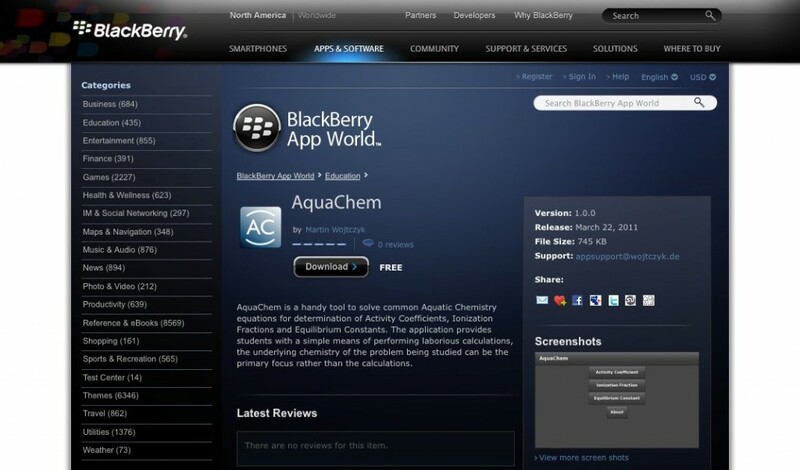 AquaChem has just been submitted to the BlackBerry App World. This entry was posted in Project and tagged BlackBerry, PlayBook on March 7, 2011 by martin.